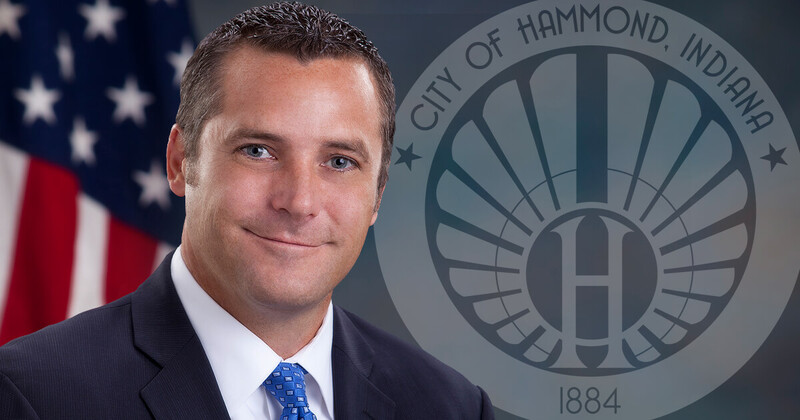 Mayor Thomas M. McDermott, Jr. and the City of Hammond today announced its partnership with Ring and details for the upcoming launch of a joint program that will provide discounts for Hammond residents who wish to purchase select home security devices. 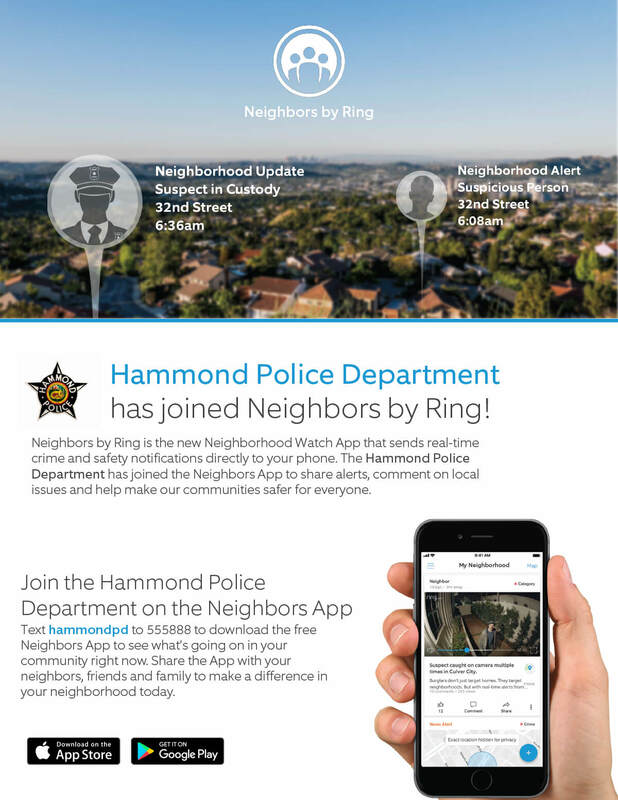 With funds approved by the City of Hammond along with matching funds from Ring, the $37,500 discounted home security program will enable 500 verified Hammond residents to receive a $125 discount code to use towards the purchase of select Ring security devices. 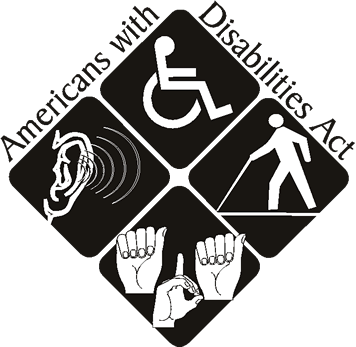 The program will kick off with a launch event on April 24, 2019 at 6 p.m. at the Hammond Civic Center where eligible residents may attend in-person and participate in the program on a first-come, first-served basis. WHEN: April 24, 2019 from 6 p.m. – 8 p.m.
Register for the program (registrants must be a Hammond homeowner with a valid form of ID & copy of a utility bill). Learn more about Ring security devices, ask questions & purchase products on-site. Purchase eligible devices and select accessories on-site. Residents are encouraged to review full program details included below and refer to eligible product details, FAQs and other information available on Ring’s website prior to attending the launch event. Residents will not have the option to RSVP in advance and are encouraged to arrive early and be prepared via the instructions below. For questions about the Ring subsidy program, please email rgrasha@hammondpolice.com. The program will incentivize the purchase of Ring Video Doorbells and Ring security devices that connect to a user’s mobile device via the free Ring app (iOS/Android). Residents are then notified when the device’s motion sensor is activated or if someone rings their Doorbell; they can also choose to view the camera’s live video feed at any time. Optional video subscription services are available for purchase to residents who want to save their Ring recordings to view or share them at a later time. The discounted home security program will open to homeowners who attend the kick-off event with proper documentation on April 24, 2019 from 6:00 – 8:00 p.m. Homeowners must attend the kick-off event in person and provide a valid form of Government ID and a copy of a utility bill in order to verify residency and receive their discount info on a first-come, first-served basis. Discounts will be provided to confirmed homeowners and applied by a Ring team member at checkout towards the purchase of eligible Ring products at the event. Only credit card purchases will be accepted, no cash or checks. Ring is also offering $30 off additional security devices with a maximum of two (2) per household, and 20% off accessories. Visit Ring’s website for product descriptions and specifications. If the discounted home security program does not sell out during the kick-off event, Hammond will post an application form to their website allowing other residents to participate until the program funding limit has been reached. Eligible residents will be sent a set of codes redeemable only on Ring.com at 3pm PT daily Monday-Friday, excluding holidays. “We are thrilled to partner with Ring for this exciting program that will help homeowners purchase a state-of-the-art security system for their homes. This, along with the Neighbors App, will help reduce crime and increase security in our neighborhoods. Ring has been a phenomenal partner and agreed to travel to Hammond with their team to make this event happen. We are looking forward to welcoming them to our city next week,” said Mayor McDermott.